Germany’s Federal Network Agency has issued a warning to parents to destroy a talking doll because hackers can use an embedded bluetooth device to talk to and listen to children. 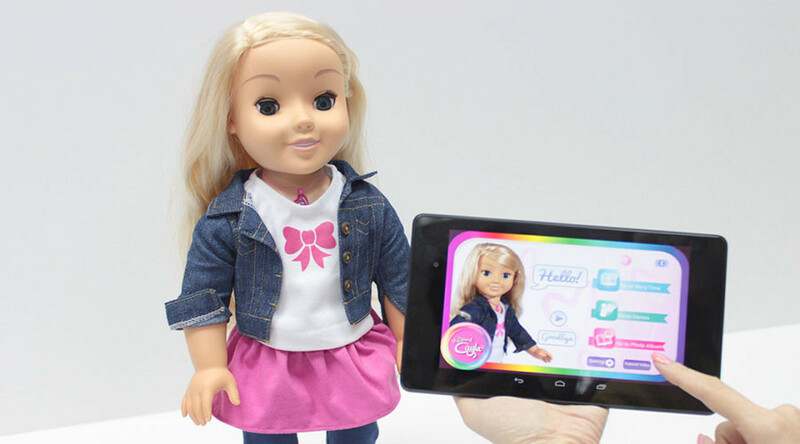 The talking doll named ‘Cayla’, contains a microphone, speaker and connects to the internet to answer toddlers questions. But the doll has a sinister side, equivalent to a “concealed transmitting device,” warned the telecoms watchdog. The doll’s smart technology allows it to respond to users questions by accessing the internet. The watchdog said, however, that this tech could be hijacked by specialists, compromising personal data. Germany has strict privacy laws to protect against surveillance. It is illegal to sell or possess a banned surveillance device. Violations are punishable by up to two years in jail. The not-so-friendly doll has been the subject of complaints from consumer groups in both the US and Europe, arising from data protection and privacy concerns. The bug, which would allow potential breaches to take place, was discovered more than two years ago, in 2015, but has yet to be fixed. Legal concerns about the creepy toy were first raised by University of Saarland student, Stefan Hessel, who told Netzpolitik.org that a hacker could potentially connect to the doll “through several walls” or from a distance of up to 10 meters.